The Bill Graham Menorah Lighting is one of the biggest Jewish events in the Bay Area at San Francisco’s Union Square. 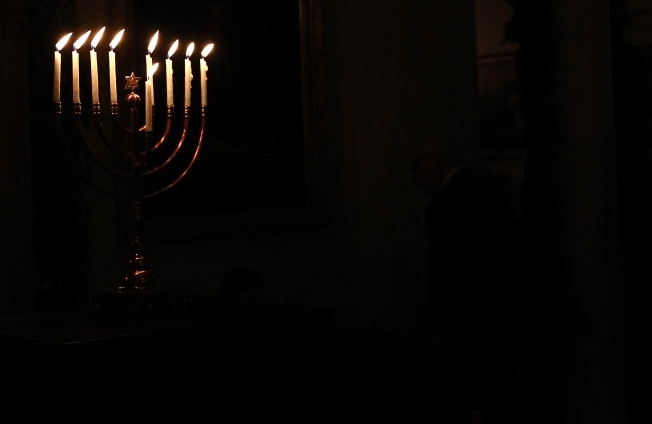 The Menorah lighting events will take place daily from Dec. 12 – 19 in the evening. The Jewish Community Center of San Francisco (JCCSF) will be observing Hanukkah from sunset on Dec. 12 to nightfall on Dec. 20 with a candle lighting, story time and songs starting at 4:00 p.m. The JCCSF will also be hosting a number of other events for Hanukkah which you can check out on their website. DIESEL, a bookstore and the Marin Country Mart will be celebrating the first night of Hanukkah from 4:30 – 6:30 pm with music, food and family fun-filled activities. The event is free and open to everyone. Join the Santa Cruz Beach Boardwalk for the lighting of the menorah at 6:15 p.m. and then take a fun 1-hour train ride on Roaring Camp’s vintage excursion cars adorned with thousands of lights and Chanukah decorations. The event is meant to be filled with Chanukah traditions, stories and more. Adult tickets are $33 and $27 for children. Chabad Palo Alto will be hosting a parade where if you bring your car it’ll be outfitted with a menorah. The event will culminate with a menorah lighting at Mountain View Civic Center starting at 7:30 p.m. – 9:30 p.m. Whole Foods is sponsoring a Chanukah Festival in conjunction with Chabad S. Clara with a 10 ft. menorah lighting, a live band, latkes and gluten-free donuts. The event is free and open to the community from 4 p.m. to 6 p.m.